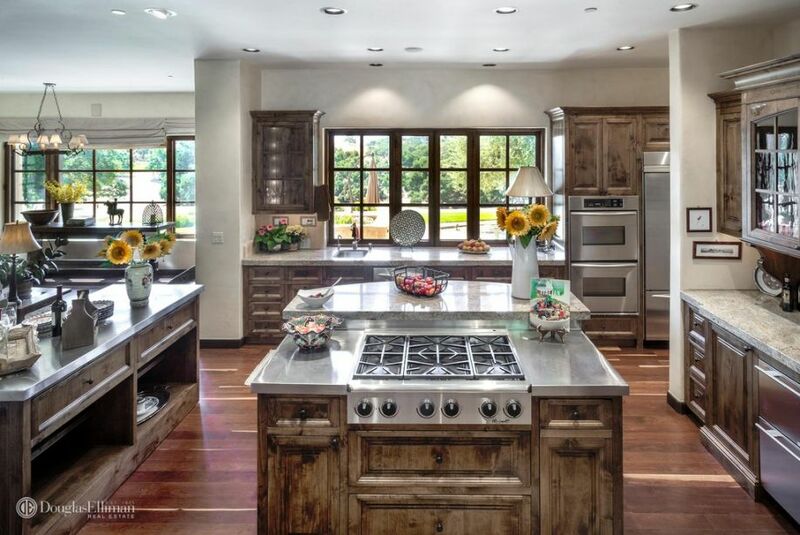 Check out the gorgeous kitchen lighting in this unique home. I really like the unexpected mixture of contemporary architecture with pretty traditional touches like marble, polished nickel and panelling throughout. Everything from the kitchen pendant lighting to the cool chandeliers in the hallway works so well together (and I would be happy to put it in my house). With this being said, I think that my absolute favorite part of the design is the awesome glass globe island lighting. I'm not even sure how to describe what they look like, other than that they are the perfect mixture of traditional roots with a contemporary flare. This description really personifies the whole space and is essentially the same look I want to create in my own home. Kitchen lighting are some of my favorite pieces to select because, believe it or not, it can make a huge design impact in a space. Whether you are looking into ceiling lights, decorative pendant fixtures or a giant chandelier to install over a dining table, they can all be very helpful in setting a particular style or tone in the room. This beautiful rustically modern kitchen is a great example of how you can combine many types of fixtures to create a well thought out and decorative look. 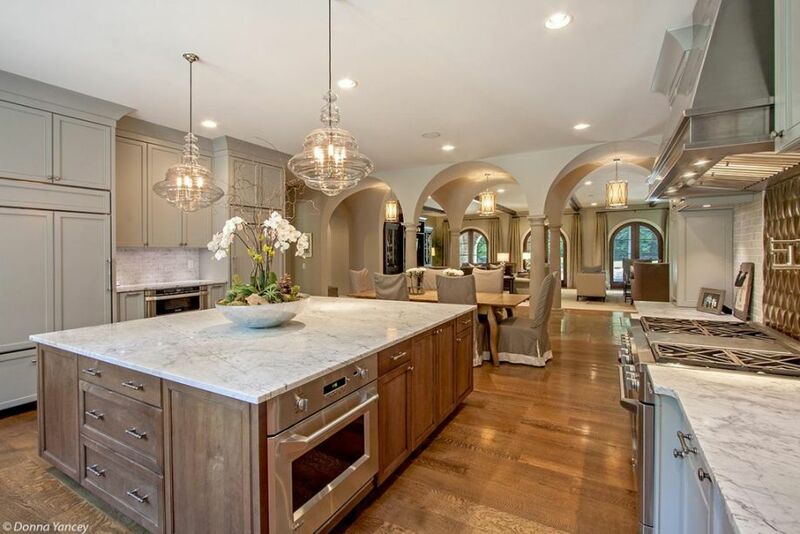 In my opinion, must have kitchen light fixtures include recessed lighting over the main prep areas as well as some sort of decorative chandelier or pendant hung over eating areas. 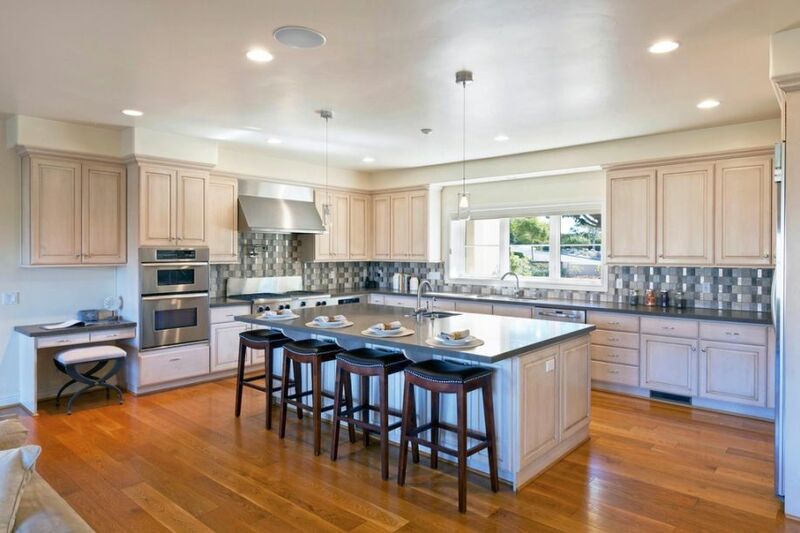 Picking out the right kitchen lighting for your space is an important part of the design process because it can have a huge impact on the overall look of your space. No matter how beautiful your room is, without proper kitchen ceiling lights with the correct bulbs, you will not be able to see or appreciate the details you have poured all of your time and effort into. This house was a great example of a room that never met its full potential until our guys installed these recessed cans and hanging kitchen lights. Before we did the installation, they had one of those large fluorescent fixtures that, in my opinion, really date a home. The cabinets looked dull and dingy and you could not even see the beautiful detailing of the tile backsplash. This is a designer who really knew how to pick kitchen lighting that would optimize the style of the space. Obviously the clients wanted a cool modern kitchen with industrial touches and a retro color palette. 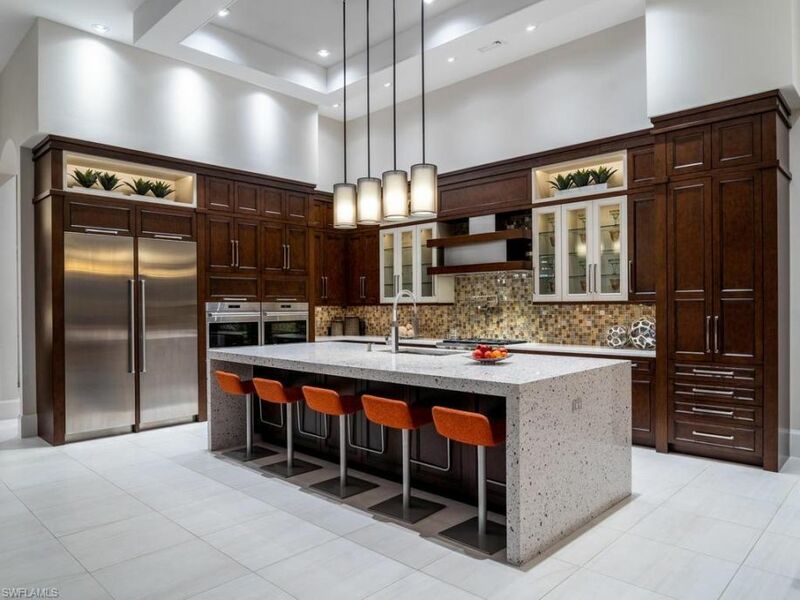 Recessed lights were a natural choice for the lofty ceilings, but my favorite piece is definitely the awesome contemporary kitchen island lighting. The design of the space is already quite modern with the geometric granite island and funky orange bar stools, but the addition of the cool industrial chrome pendant lighting really anchored the design. 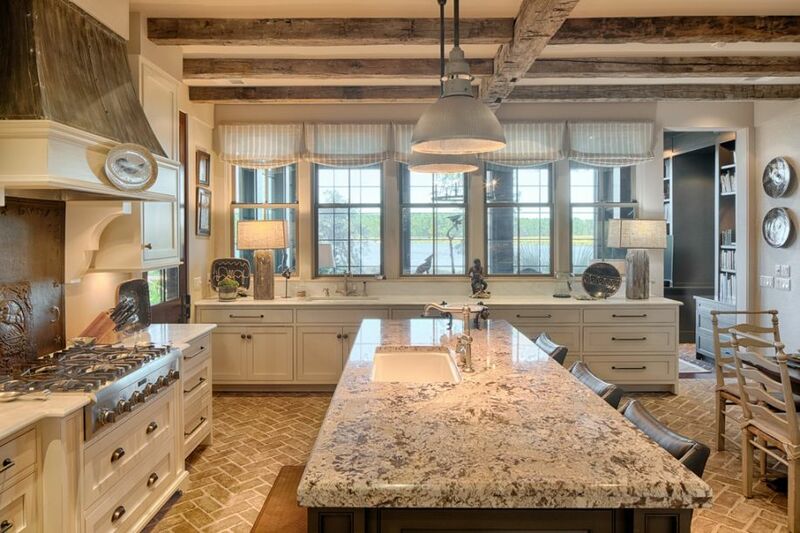 If you are going to add an island to your space, some sort of pendant light like this seems like an absolutely must in the design in order to give that fantastic professionally decorated look that we all really strive for. 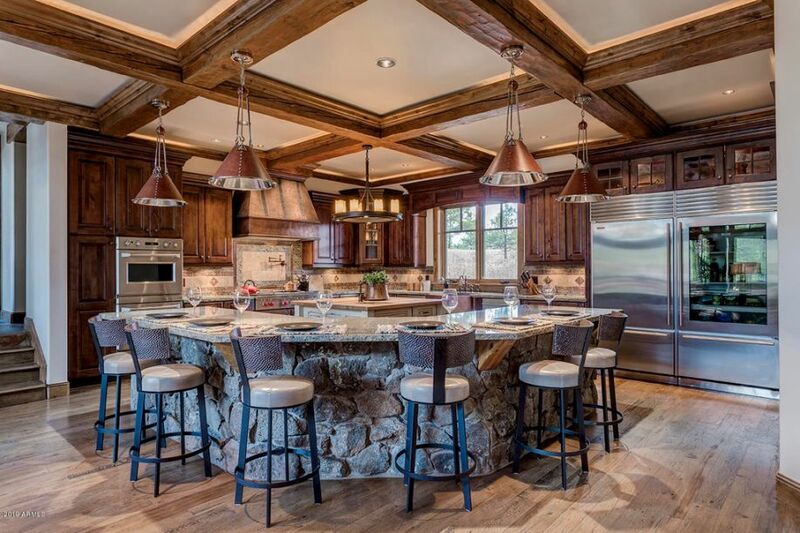 Kitchen lighting can really make or break a design. The right pendant light fixtures, recessed cans, and chandeliers really help to escalate an already fabulous space, or update a drab old design. Our company was hired to install LED kitchen cabinet lighting underneath these beautiful cream units but, after seeing the difference that that small upgrade made, she decided to revamp all of the fixtures. Prior to our electrical remodel they used to have one of those atrocious halogen units above the island that really dated the space. By replacing them with these cool industrial pendant light fixtures we changed the whole look of that area and gave it a very Restoration Hardware vibe that they absolutely loved. As an electrician, it may come as no surprise that selecting the right kitchen lighting for your space is such as passion of mine. I have seen first hand the major difference that merely adding a few kitchen ceiling light fixtures can make on a space. Believe it or not, illuminating a room with the right level and shade of light can make an old and outdated space seem brand new. In this kitchen, we swapped out the bulbs in the existing recessed cans with new day-light LED bulbs then installed kitchen island pendant lighting to add even more brightness to the room. The LED bulbs along gave the space a much crisper and cleaner look, then the new pendent lights with adjustable dimmer switches really set that cozy mood.